The Hermann Wurst Haus is a big supporter of the Buy Local Movement and we support the local wineries and a distillery by serving and selling their awesome wines and spirits. 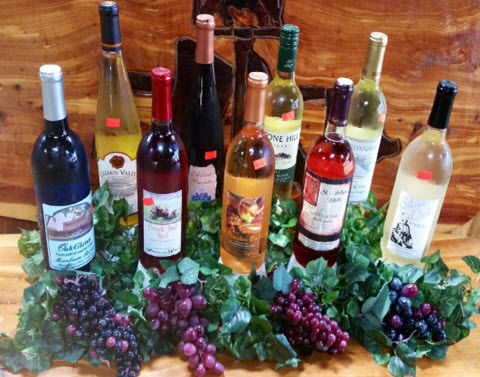 If you aren't familiar with the wineries in and around the historic Hermann area, we invite you to stop by and buy a bottle! We have quite a selection of local wines. 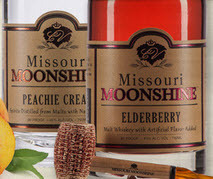 The wineries in the German community of Hermann, are in the heart of Missouri wine country. Before Prohibition, Hermann produced more than one million gallons of wine a year, and today Hermann-area winemakers are once again producing award-winning wines. We feature several wines from each of the wineries listed below; dry red Norton, semi-dry Vignoles, sweet Concord and many more selections. We have a wine for every palate. We sell wines by the bottle. Pinckney Bend Distillery, New Haven, MO - A small craft distiller, producing premium quality, hand-crafted spirits, one small batch at a time.